This game is similar to Risk. Choose a race and take over the army win 25 epic battles in order to rule the world. Both single-player and two-player modes are available. This stategy game similar to Risk is back! Choose a country and take over the world facing other users in epic battles. Whole mainlands are at war! You'll have to try to become the conqueror in this world. In order to do so, use your special skills and your tactician mind to obliterate your enemies. Good luck! Enjoy a new and thrilling turn-based strategy game where you'll be able to become a bloodthirsty dictator. Plan your moves carefully and manage to invade the countries around you in the style of Risk. Manage to create an empire! In this strategy game similar to Risk you'll have to take over the world. Choose an army and start attacking your neighbors. Caught in the Sewers Make progress with the help of your gun and your katana. 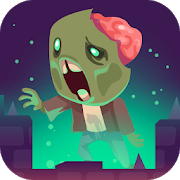 Defend yourself against the zombie worms and the bats can you survive? In this Risk-style game you must gather a great army to take over the surrounding lands before your enemies defeat you. The battles can be either manual or automatic.